The laparoscopic gastric bypass technique, invented 20 years ago, is currently the benchmark for all other operations. It has the advantages of long-term success and direct metabolic activity, but it is one of the most difficult operations to master. Consensus on the optimal anatomic construct remains elusive; many controversies exist regarding the achievement of optimal results. Pelligrini C. The surgeon of the future: anchoring innovation and science with moral values. ACS Bulletin. 2014;98(12). 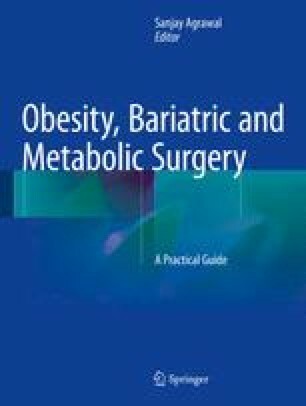 Available from: http://www.acssurgerynews.com/single-view/the-surgeon-of-the-future-anchoring-innovation-and-science-with-moral-values/d47ee58b5a5797366782460fc34ad3b1.html. Cited: 02 July 2014.